WaveRunner Xi Series gives you everything with no compromises: great performance, big display, and small footprint along with WaveStream fast viewing mode, enhanced standard trigger capability, and much more. WaveRunner Xi is the perfect solution whether your signals are fast or slow. No matter what your need, you can put the precision, performance, and capability of WaveRunner Xi to work for you. High performance mixed-signal option with the MS-500 or MS-250. These solutions can capture digital signals with speeds up to 500 MHz. 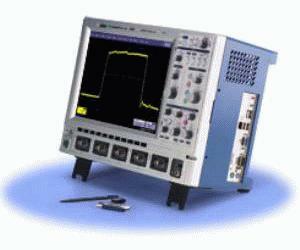 Available in 18 or 36 digital channel models and with long 50 Mpts/Ch memory the MS series are the ideal tools for efficient testing 16 bit embedded systems where all 16 ADDR and DATA lines can be viewed simultaneously.